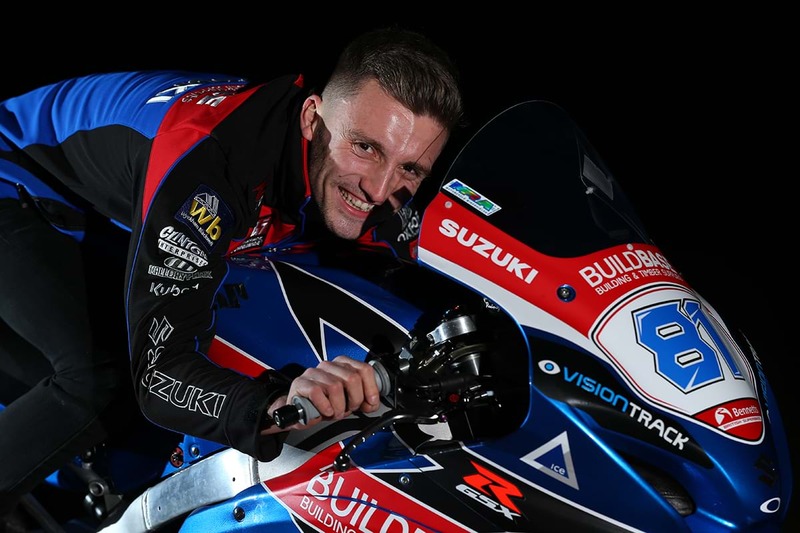 Buildbase Suzuki has announced that Luke Stapleford will ride the team’s second GSX-R1000 superbike in 2019, partnering Bradley Ray in the Bennetts British Superbike Championship, while Richard Cooper remains with the team for another year and will contest the National Superstock 1000 Championship. Stapleford - who won the British Supersport title in 2015 - will return to the British Superbike paddock after three seasons in the World Supersport Championship. It’ll be the 27-year-old’s first full season on a superbike, however he boasts previous superbike experience having made a number of BSB wildcard appearances in recent years. For 2019 he is looking to build on that experience and develop into regular front-runner in arguably the most competitive domestic series. 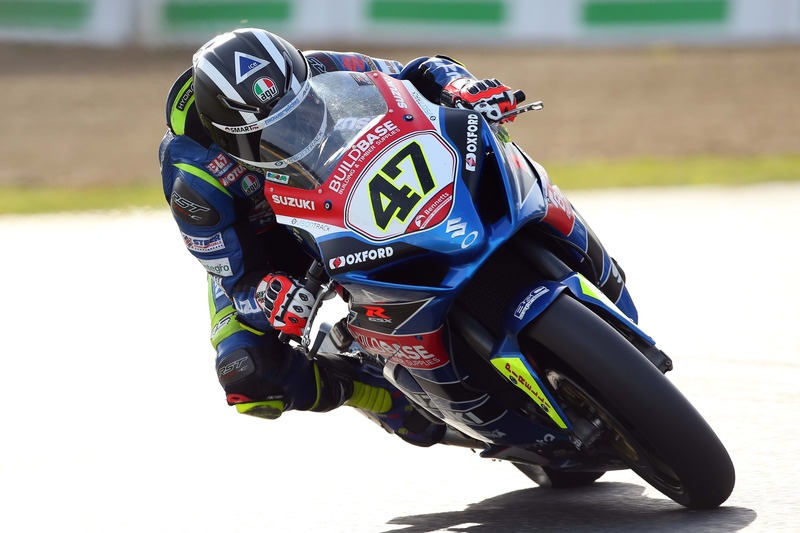 He took victory in the final BSB race of 2018 and for 2019 Cooper will remain with the Buildbase Suzuki team for a third season. This year the experienced Nottinghamshire ace will return to the hotly-contested Superstock 1000 championship - a championship he won in 2011 and finished runner-up in in 2017 on the new GSX-R1000R - with the clear aim of fighting for the title. 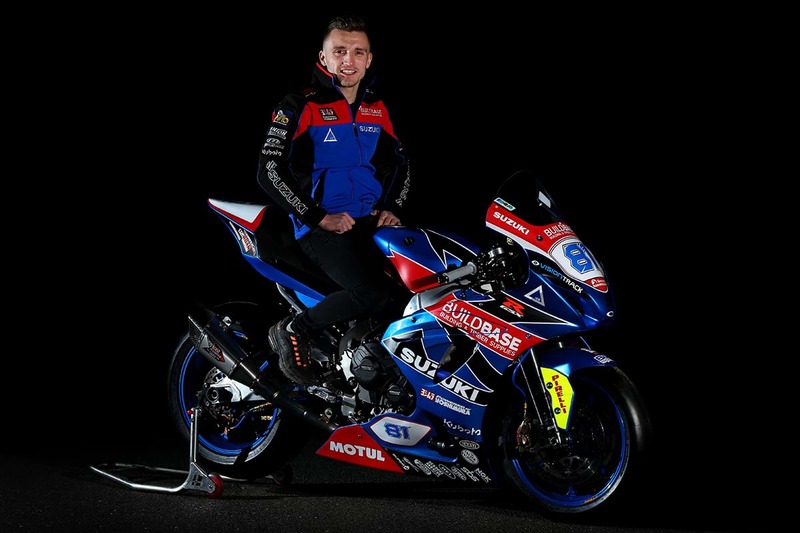 Luke Stapleford said on signing with the Buildbase Suzuki team, "I’ve got a good relationship with Steve [Hicken - team manager] and the team, and we’ve worked together before and we know each other well. We’d talked in the past but honestly I was still enjoying riding the 600. But we talked again after last season and I was at a point where I wanted a change from what I was doing in World Supersport - I was riding in a family-run team and honestly it was a lot of effort that took the shine off racing a motorbike a little bit. "I’d had a few offers in BSB before, after the title in 2015, but now I feel the timing and the package is right. It’s going to be hard, I know that, but I think we’ll get there. We’ve not set any specific targets so much, and we’re being realistic, but at the same time my goal is to be at the front. It’s going to take time to get up to speed and a lot of hard work, but that’s where we want to be and I know the team and the bike can be there. 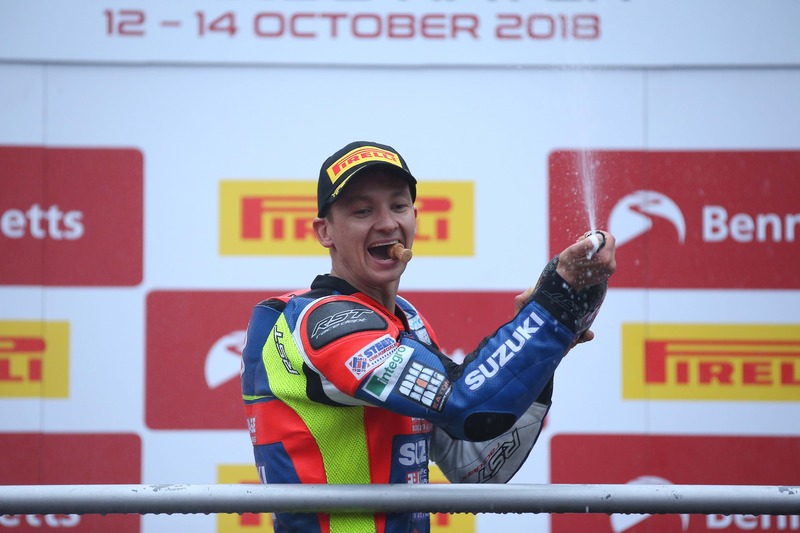 "The feeling in 2015 of winning the British Supersport title is what’s kept me going, and I want the feeling of winning races, and eventually a championship, again." Richard Cooper commented, "The aim this year is the championship, definitely. The GSX-R1000R has finished twice, narrowly, the last two seasons in Superstock, and I want to deliver the team and Suzuki the championship. "I had a good end to the year in Superbike and it was good to win the last race of the year, but it’s going to be equally competitive in Superstock in 2019, with some new riders and teams. But I think a good winter, some changes with the team and to the bike, and also my previous experience should give us a head start. This year I want to go out and enjoy my racing again, and hopefully that’ll come with race wins and, fingers crossed, a championship." Luke Stapleford, Richard Cooper, and Bradley Ray - who re-signed with the Buildbase Suzuki team after a strong season in 2018 which saw him do the double at the season-opener - will now begin a comprehensive winter testing programme ahead of the season-opening round at Silverstone on 19-21 April. For more information on Suzuki’s GSX-R1000R, click here.